There has been a great deal of confusion and mixed messages pertaining to Shallow Water Blackout, prolonged breath holding, and blackout induced by hyperventilation and prolonged breath holding. For the purpose of clarification, we will be using the term Hyperventilation-Induced Blackout (HIB) to describe the incidence of blackout induced by hyperventilation and prolonged breath holding. The confusion is that the term "shallow water blackout" (SWB) has been used to describe any case of unexplained loss of consciousness. In reality, SWB is actually a problem experienced by breath-hold divers traveling vertically through a substantial depth range. Descending through the water column compresses the gas in the lungs, driving more gas into the blood, which increases the amount of oxygen available to be consumed. As the breath-hold diver ascends through the water column the blood oxygen level falls much faster than it would without the vertical excursion. And, since the relative pressure change is greatest in the shallowest water, it is normal for blackout to occur in the final state or just after surfacing. The Aquatics Community needs to accept the fact that breath-holding is part of all aquatic activities. But, we need to urge caution on the part of swimmers (competitive and recreational), coaches, first responders, lifeguards, residential pool owners, parents, and aquatic facility managers and operators, that extended breath-holding, preceded by excessive hyperventilation (ventilating the lungs in excess of metabolic need) is safe if it is limited to the equivalent of no more than two full ventilatory exchanges (two full inhalation/exhalation cycles). Limited hyperventilation will increase breath-hold time without delaying the urge to breathe (driven by carbon dioxide levels in the blood). We need to encourage supervisors (coaches, lifeguards, facility operators) to carefully scan the surface, as well as under the surface, as many HIB victims may float motionless at the surface, or may submerge, dependent upon several variables. And, that the victim floating at the surface may appear to be moving due to water movement, splashing, etc. Prolonged breath-holding does not necessarily need to be banned. But, we need to stress the importance of safeguarding participants while they are engaged in this type of activity. But, if the facility is unable to safeguard the swimmer while he/she is engaged in this activity, then that activity should be prohibited. This is a basic tenant of Risk Management in that we REMOVE or WARN of the HAZARD, and we either SAFEGUARD or PROHIBIT the RISK. The proper response to a hyperventilation-induced blackout incident is to rescue the victim from the water and to immediately obtain a patent airway using either a head-tilt or a jaw-thrust maneuver. Assess the victim's breathing, and if the victim is in respiratory arrest, then immediate positive pressure ventilation should be provided. Check the pulse, and if the victim is in cardiac arrest, then immediate CPR should be administered, and an AED should be obtained and attached. If the victim has a shockable rhythm, as assessed by the AED, then a shock should be administered, and CPR continued if the victim remains in cardiac and respiratory arrest. It should be noted that if the HIB victim is removed from the water and is assessed to be in cardiac arrest, it is typically due to the fact that the victim's distress went unrecognized for up to several minutes - long enough for the onset of cardiac arrest. Drowning is a hypoxic event, regardless of the cause. Positive pressure ventilation should be administered via mouth-to-mouth, mouth-to-nose, or mouth-to-mask. Lifeguards and other First Responders should be trained in the use of a Bag-Valve-Mask (BVM) Resuscitator which, if used correctly, will provide 21% oxygen concentration to the patient with each ventilation, versus 16% as administered via mouth-to-mouth, mouth-to-nose, or mouth-to-mask. Lifeguards and other First Responders should also be trained and equipped with oxygen administration equipment (oxygen tank and regulator). The oxygen administration equipment should be attached to the BVM resuscitator, with the oxygen flowing at 15 lpm, which therefore provides 100% oxygen concentration during the administration of positive pressure ventilation. It should be noted that CPR includes the administration of chest compressions in combination with rescue breathing (positive pressure ventilation). The American Heart Association is advocating compression-only CPR for victims of sudden cardiac arrest (SCI) and CPR courses are being conducted throughout the U.S. teaching the lay public how to perform compression-only CPR. However, this procedure is only designed for the SCI patient whose lungs, blood and brain are already oxygenated prior to the onset of the cardiac arrest. To the contrary, a drowning victim, regardless of the cause, unless the victim suffered an SCI in the water, his/her cardiac arrest onset would have occurred as a result of the victim's respiratory arrest, and the victim is therefore hypoxic. Compression-only CPR is ineffective for the drowning victim and full CPR (positive pressure ventilation in combination with chest compressions), AED use, and oxygen administration is required to provide the victim with the best chance for a successful outcome. If DRY - COMPRESSIONS apply. 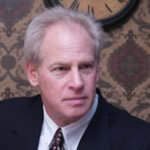 Thanks are extended to the NDPA and to Neal W. Pollock, Ph.D., Research Director for Divers Alert Network (www.diversalertnetwork.org) and to the National Drowning Prevention Alliance (www.ndpa.org). The information contained within this article has created some open discussions from some individuals and criticism from others. The following are some of the questions and the responses by Dr. Neal Pollock. This information will also be posed on the NDPA website and we applaud the NDPA for their efforts in publishing this information and responding to the concerns raised by others. --What about the competitive swimmer who ignores the urge to breathe? A. Without hyperventilation, a normal person cannot voluntarily breath-hold long enough to lose consciousness. The urge to breathe often comes in waves. If the first can be ignored, breath-hold time can be substantially increased. I have talked about using distraction such as attempting to swallow until wave passes in a published review of breath-hold safety (Pollock, 2007). While ignoring the first wave of urge to breathe is feasible, it becomes progressively more difficult. Most important, a normal person cannot ignore the urges long enough to lose consciousness under typical conditions. This is an easily testable response pattern. --What about those who stimulate genetic triggers with breath-holding such as long Q-T interval leading to cardiac arrhythmia, and cardiac arrest? A. While it is possible for long Q-T to be a factor in fatal events, this is probably a far more rare issue - the zebra - than excessive hyperventilation. One of our human drives is the need to explain things, wherever possible finding something other than ourselves to blame. Identifying a possible organic culprit can often be more attractive that accepting that the simple act of voluntary excessive hyperventilation is responsible. It becomes problematic, though, when too much attention goes to the exotic possibilities. It distracts from attending to the far more likely issue faced by all involved. Unfortunately, the difficulty in conducting appropriate studies will continue to make it difficult to resolve just how frequently (or infrequently) the exotic explanations are likely to be relevant. --What about those who practice multiple, repeated breath-holding especially dynamic apnea depleting their O2 levels so they blackout before they reach their CO2 trigger point to breathe? A. The situation as described is probably only feasible if substantial (definitely excessive) hyperventilation is conducted to make the repetitive cycles high risk. As discussed in the original article, hyperventilation dramatically drives down CO2 levels without appreciably increasing O2 levels. An important clarification here, though, is that O2 levels will not be appreciably increased above normal levels. Hyperventilation will help to restore normal oxygen levels while rapidly driving down the CO2 levels. So pre-breath-hold hypoxia is not the prime problem. It is still the reduced CO2 levels that delay the urge to breathe past the point at which hypoxia again becomes an issue. Despite the previous clarification, I agree that rapid repetitive breath-holds represents a much higher level of hazard and should be discouraged. In the freediving community, the rule of thumb is that a post-breath-hold recovery period should be no less than the duration of the previous breath-hold. The recovery time should also progressively increase as dive depth (and/or fatigue) increases. Following these rules and limiting hyperventilation will remove the majority of the hazard. Those who want to be even more conservative should eliminate hyperventilation completely. Most critical in any case is that we understand the true impact of our choices and behavior so we can control risk. We will never eliminate risk from life, but with appropriate knowledge we can control a substantial amount of it. --What about those who unintentionally hyperventilate? A. Respiratory control is regulated in a breath-by-breath manner, modulated by a host of factors in real-time. Transient hyperventilation is compensated for by a delay in the subsequent drive to ventilate (again, due to the relatively depressed CO2). Modest unintentional hyperventilation is very likely to remain in the zone that erodes but does not eliminate the safety buffer between the CO2-driven urge to breathe and the O2 levels required to maintain consciousness. For a more extreme example such as the hyperventilation induced by immersion in cold water, that could certainly erode much more of the safety buffer. However, the extreme discomfort of cold water is also incompatible with long breath-hold times, probably eliminating serious risk. These people may end up dead thinking they were safe because they did not actively hyperventilate. 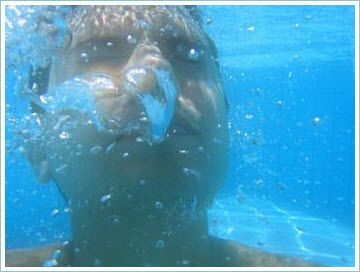 Hyperventilation is one contributing cause of blackouts in shallow water from breath-holding. I urge caution until you have studied multiple survivors of Shallow Water Blackout (SWB). In your cases you are assuming hyperventilation, but the dead cannot be interviewed. I have cases of children diving up and down for toys on the bottom of the pool over and over with no voluntary hyperventilation, both blacked out and one succumbed. Another issue with allowing prolonged breath-holding without hyperventilation is the fact that if blackout occurs chances of survival are low. It is hard to detect by an observer because of water ripples on the surface, and with the hypoxic state along with warm pool water (promoting brain metabolism), there are only a few minutes for a successful rescue. A. The greatest challenge in considering the risks associated with breath-hold is separating the elements of emotion from levels of evidence. Much of the historical wisdom regarding breath-hold safety was based on an incomplete understanding of both the hazards and of human capability. The modern freediving community has provided tremendous insights into both and helped by promoting guidelines that favor safety without unnecessarily restricting practice. It may sound very scary to those not comfortable with freediving, but these individuals have given us a unprecedented wealth of opportunity to study "survivors" of blackout. I have both discussed the events with many participants (and have observed more than a few). Hyperventilation, whether recognized as such or sometimes hidden behind a euphemistic term like "workup breaths" is a factor so common as to almost be obligatory. The disqualification rules of competition are rigorous enough that there are relatively few blackouts that occur during these events. Blackouts are common during training activity, however. Serious injury is avoided because of the standards of close supervision and incident management readiness are maintained. There is a strong drive in the community to optimize performance by performing close to but on the safe side of the limits. The operational practice within the responsible freediving community (the vast majority of the community) is such that breath-hold divers can discover and expand their capabilities while preserving their safety. It is not a perfect system and some serious accidents and even fatalities do occur, but at a low rate. The biggest concern is not the breath-hold divers who learn and practice as part of an organized and responsible freediving program. It is the diver who operates with no oversight and may not fully appreciating the risks. Open discussion is necessary to make sure that a clear understanding of hazards and safe practices is immediately accessible. "Just say no" is a good sound bite, but does not prepare living in our world of self-discovery and peer pressure. All aquatic activity includes some risk. Proper education is critical to help to manage it. For breath-hold, adequate support and thoughtful practice are critical. More conservative practice should be naturally adhered to in the absence of direct, close supervision. The well-trained swimmer or breath-hold diver or swimmer will learn to assess real-time risk and respond appropriately. No one wants to see injury or fatality arising from something that should be a safe activity. We must also remember, though, that there are a lot of benefits of participating in different activities. Safety will always remain an act in balance with the other needs in life. My priority is to make sure that individuals have sufficient and correct information to make decisions in their best interest.